The Inauguration of the First Year MBA Programme, 8th Batch was conducted on 21st August 20117 at 9.30 a.m. The first years were welcomed with broad smiles and heartily congratulated for their bright future. The Chief Guest for the day was Thiru. Krishna Varadharajan, Chairman, Idea Plus Business Solutions, Chennai. He is a well-known Human Resource and Marketing Consultant. Thiru. 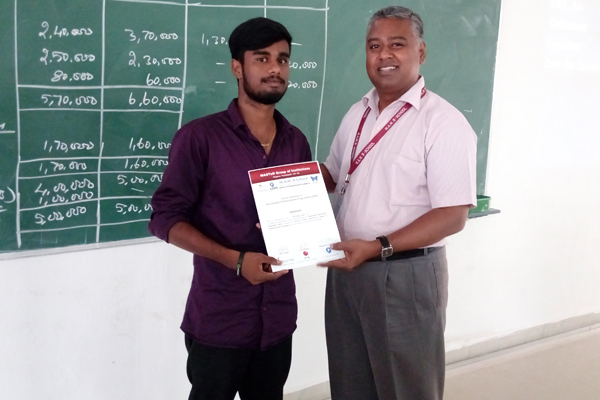 Krishna Varadharajan addressed the students of first year on Self-motivation, Value Addition and Humility. Mrs. Anu Natarajan, Managing Director, Idea Plus Business Solutions, Chennai, was also present. She also handled a session on Leadership and Power. She interacted with the students by narrating her life journey and the experience it has given her. The day finally came to an end with the oration of a successful entrepreneur course of travel. In the 20 th century researches carried out in social science had largely been quantitative and qualitative. This National Conference on Research Paradigm in Social Science, focused on how researchers have contributed to social science using both qualitative and quantitative pursuits and implications they have had in the research practice. It will also serve as a forum for discussion and collaboration of researches carried out among the corporate executives, academicians and research scholars in different continuums. It was also a platform for the MBA students of M.A.M. B-School to present their research and also publish which would be an experience for the future initiatives. 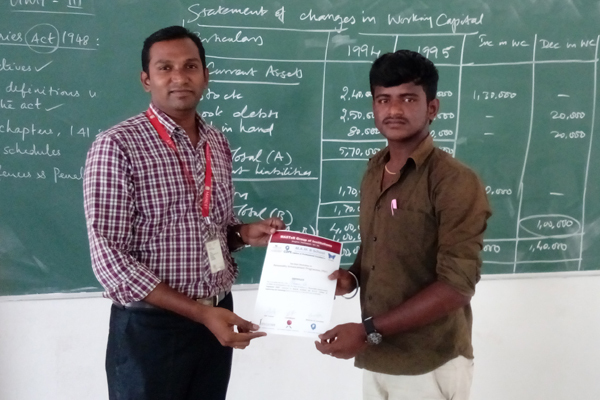 Ten days workshop on PERSONALITY ENHANCEMENT PROGRAMME (PEP) was conducted Mr. Ramkumar Ravindran – PEP Trainer for the I MBA students, 2016 to improve their Overall Skills, Academic Calibre and Career Growth. 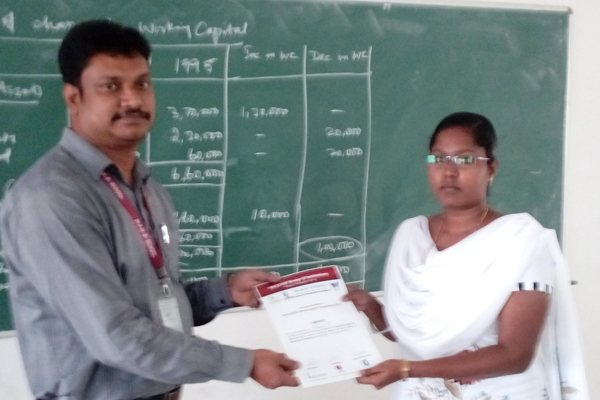 The training programme was conducted for Ten Days in the month of September. The students were trained on Basic Life skills, Attitude Management, Mastering Habits, Personality Analysis, Goal Setting, Problem Solving and Decision Making. A Guest Lecture on Emotional Intelligence in Career Development was conducted on September 6 th 2017. Dr. Bagyavasan. K FCR, PGDD (UK), Gr. 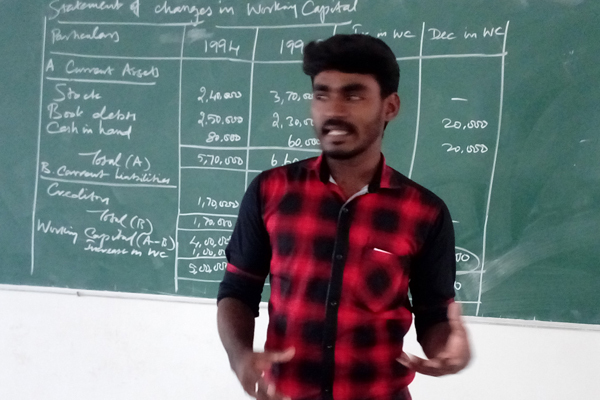 Dip(Sonology) (AUS) Consultant in Sonology, Diabetes and Homeopathy Kalai Medical Foundation – Subject Matter expert addressed the students on how to handle their emotions.